“Turkey Series” continues with our fourth panel focusing on the recent social, economic and political developments in Turkey. As the local elections are fast approaching, Turkish authorities’ crackdown on freedom of expression and other human rights in Turkey continues at an astonishing speed. Trials of peace academics, human rights defenders and political actors continue to be concluded and several sentences are being handed down. This fourth joint event brings together lawyers, economists and academic experts to explore the current situation of academic freedom in Turkey and successful examples of solidarity in the country and abroad. 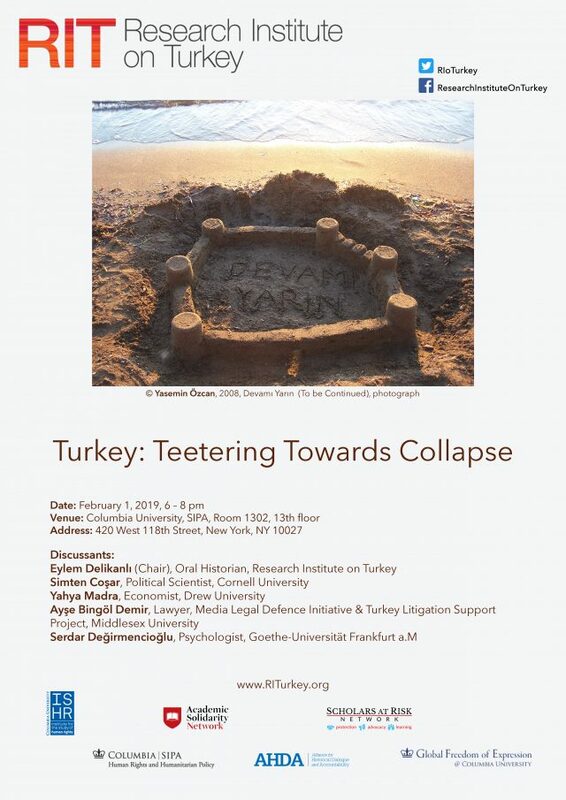 Speakers will delve into why the current economic crisis should be read as simultaneously a crisis of capitalism and a crisis of the Republic, elaborate what happened to the judicial system and the role of its various actors after the 2016 coup attempt and how the regime in Turkey is determined to produce its own brand of militant young generations.